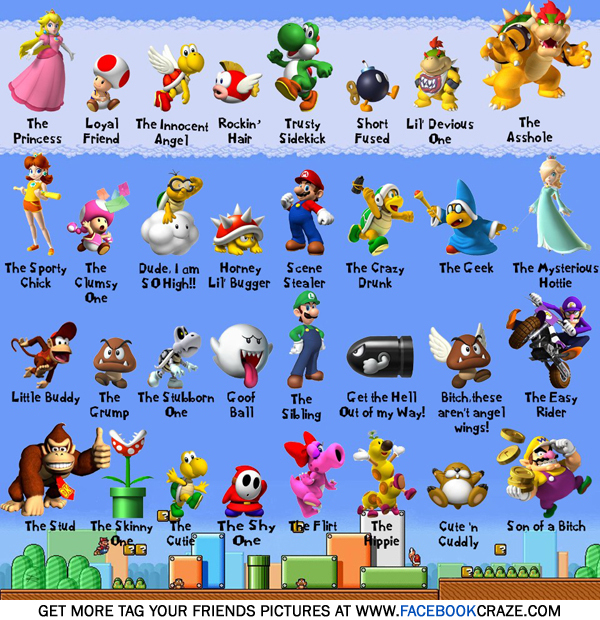 Mario and characters. Sorry about rude words. Wallpaper and background images in the super mario bros club tagged: mario nintendo super mario brothers super. Why is Bowser Jr. called lil' devious one? Haha, nice. I think Lakitu's one is my favourite.